The "Digital Adjudicators Sheet (DAS)". all marks data is available directly at the end of the last dance. The wireless DAS can be borrowed by TopTurnier users for event week-ends. You need one sheet per adjudicator plus one or two for reserve (depending on length of comp. day). 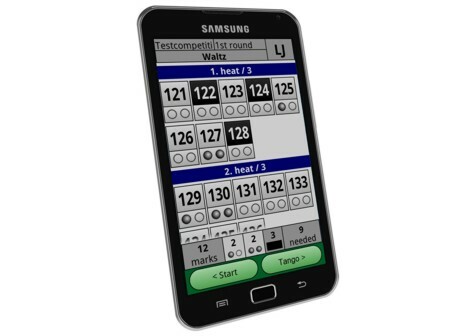 For dance sport federations and clubs with regular big competitions purchase of the PDA software is possible.